You can easily navigate through the week and see which hours have been worked. You will see the hours on projects and tasks. You can add projects and name tasks. 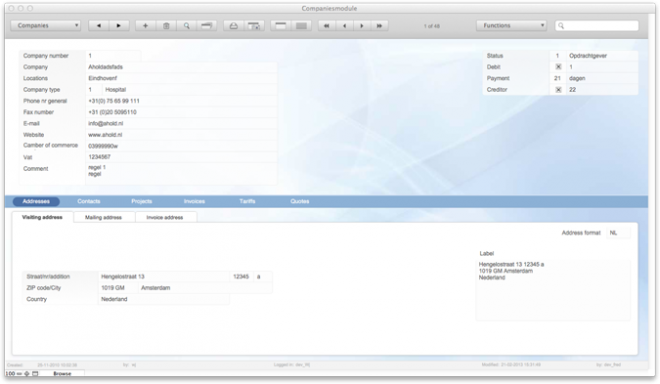 This enables users to make quick use of timesheets. 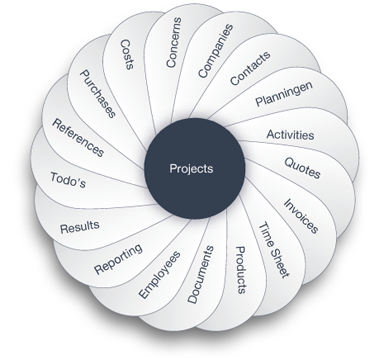 The timesheet software is divided into two main sections. Hours on projects and other activities. In the timesheet or hour tracking, you can quickly see the relationship between the hours resulting in sales, and support hours. You can easily make selections to view data from different perspectives. Check the ratio per employee per period, or at company level.